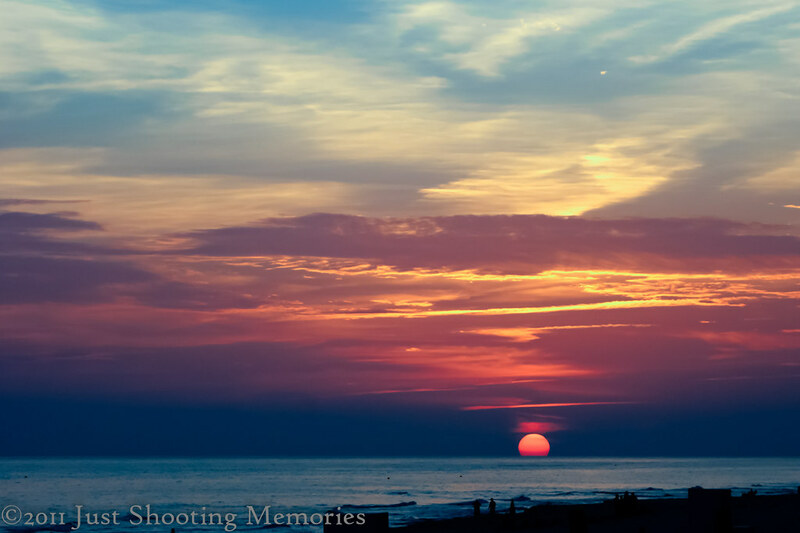 Panama City Beach Sunset | Just Shooting Memories! The previous post, The Road Home, made it as a featured post on Photography Daily. If you have not seen the articles posted over there, stop by. They have lots of interesting stuff. While you are checking out other interesting pages, stop by the Triple Exposure page for some good information on HDR and panoramics among other things. Today’s photo comes from Panama City Beach Florida. Commonly known as the “Redneck Riviera” in the southeast. Is it just in the southeast that it is called this, or has anyone heard of it from outside this area? Now, I know you are wondering why I was there. Why, of course it was for photographing beautiful sunsets on the beach. Why would it not be? This photo was taken at Pineapple Willy’s right on the beach in Panama City Beach. I don’t remember all the specifics about it, but it was taken from the deck facing west (that was put in there because you know someone was going to ask what direction). If you are ever in the area, they have great food and a good place to eat with the ocean breeze. Congratulations for the post in Photography Daily. You’ll have to share how you got that sometime. I’m still trying to build readership on my site. I love this photo! I’m going to Pensacola later this year and hope to take a few nice shots. You remind me that I need a longer lens for the larger sun. Thank you Tim. It has been a very time consuming process. My wife has lots of trouble seeing the light at the end of the tunnel. Have fun in Pensacola. I am trying to make it to the beach sometime this year, but alas, work has not allowed that to happen. Maybe one day, this shall be my job. One can only wish.